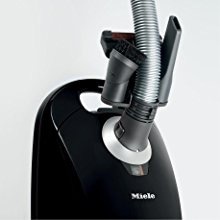 The Miele Compact C1 Turbo Team PowerLine Vacuum Cleaner features a sleek low-profile design combined with powerful, yet quiet operation in one compact canister. The Turbo Team includes the Turbo Comfort Air-powered floor tool with rotating brush, featuring a lint catcher strip for effective pet hair removal—great for low-pile carpets and rugs. 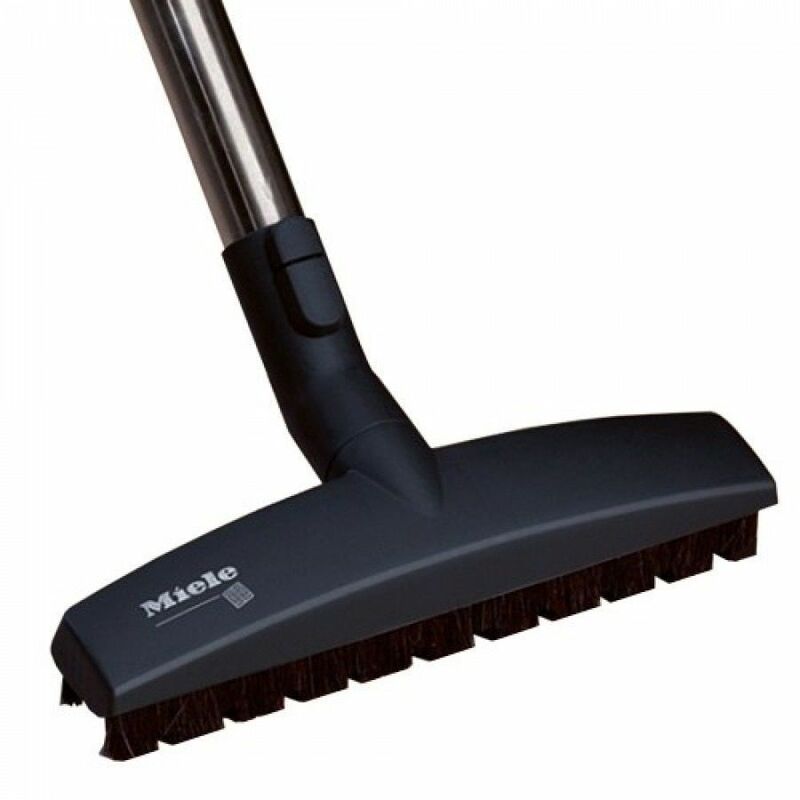 For smooth cleaning bare floors, Miele adds a Parquet Floor Tool with a wide suction inlet surrounded by natural bristles and 2 protective rubberized wheels for easy gliding and effective cleaning of natural scraped wood flooring and tiled spaces. 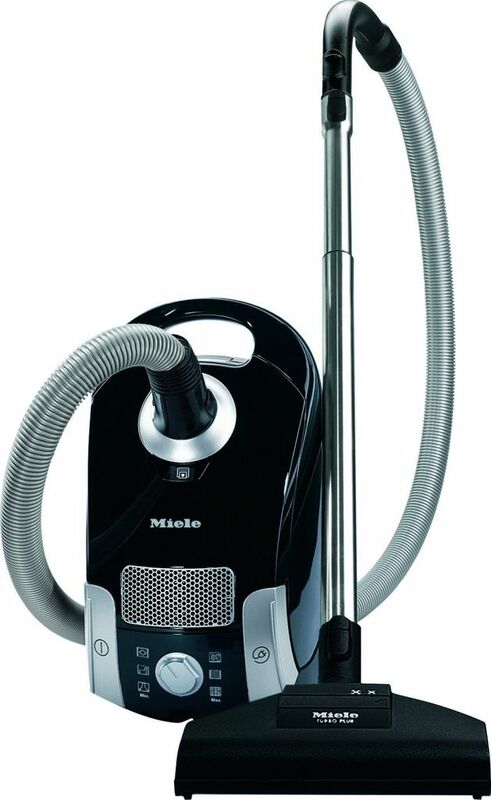 Designed to improve your indoor air quality while keeping your home clean, the Miele Compact C1 Turbo Team Vacuum boasts an AirClean Sealed System proven to be over 99.9% effective in capturing and containing particulate matter. 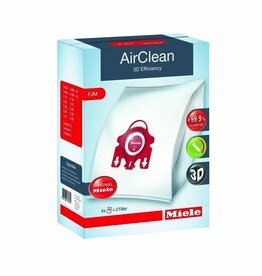 Working together to improve air quality, the Miele AirClean 3D Efficiency dust bag, pre-motor, and exhaust filters, interact to ensure even fine dust and dander are trapped inside Miele’s tightly sealed housing. So, breathe easy! Onboard Tools: The convenient VarioClip makes it easy to keep the dusting brush, crevice nozzle, and upholstery tool on hand as you vacuum, for quick access and hassle-free above-floor cleaning. 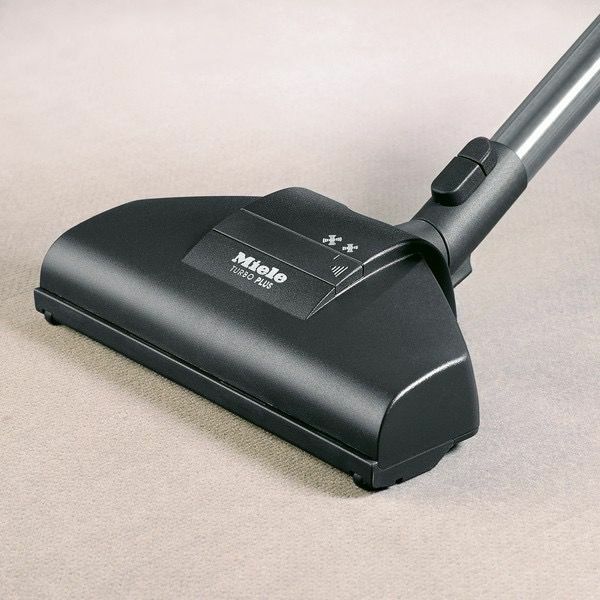 Automatic Cord Rewind: Great for compact and tidy storage, this Miele canister vacuum features a one-touch automatic cord rewind button that immediately draws the power cord back into the unit with one swift tap. 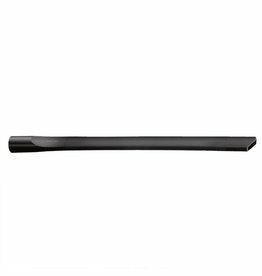 Telescopic Extension Wand: With 18 adjustable height settings, the lightweight stainless steel wand provides easy specialized cleaning in hard-to-reach places throughout your home. 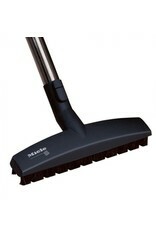 The telescopic wand securely connects to the suction hose and the attachment tools using the square-locking system. Dust Bag Change Indicator: Conveniently located on the front panel of the vacuum, the Air Flow Indicator will change from clear to orange when it is time to replace the 3D Dust Bag. 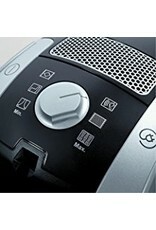 Powerful, Quiet Operation: At the heart of the Miele Compact C1 Turbo Team Vacuum is a 1,200-watt Powerline Motor with easy-start feature for gradual ramp-up. 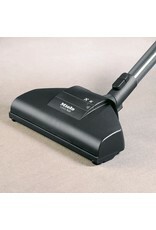 Combined with sealed housing and perfect air flow this compact vacuum provides huge cleaning ability. Overheat Protection: If the vacuum overheats or if an article blocks the suction hose, the vacuum will automatically power off to prevent overheating. ​While many vacuums collect a lot of debris from your floors and upholstery, some is blown back into your indoor air through the exhaust vent or out of the dust bag opening. 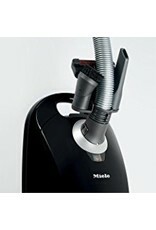 Using the long-lasting Air Clean exhaust filter, the Miele Turbo Team Vacuum completely cleans surfaces without releasing all those fine particulates and allergens back into the air. This three-layer air filter traps 99.95% of airborne contaminants as small as 0.5 microns and 94% of invisible particles as small as 0.3 microns, so the air discharged from your vacuum is actually purer than the room air before vacuuming. 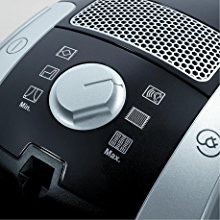 In addition to a pre-motor filter that protects the vacuum motor from exposure to harmful dirt and dust, the vacuum cleaner also includes an AirClean 3D Efficiency dustbag with self-locking technology. The Auto-Seal dustbag is easy to lift out of the vacuum chamber for quick disposal without getting grit on your hands or distributing dust particles back into the air. For filtering odors from the air, consider the Active Air Clean Filter (sold separately) which contains activated charcoal to absorb cooking smells and pet odors. 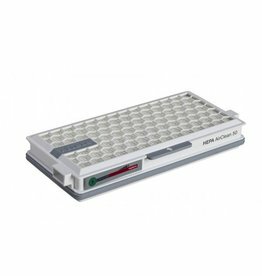 If you want an even more robust filtration system, you can opt to upgrade your Miele Vacuum to a HEPA vacuum by purchasing an Active HEPA Filter (sold separately). This filter eliminates 99.99% of common allergens such as dust mites, pet dander, mold spores, and pollen. 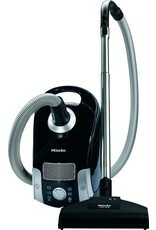 After being tested for integrity and performance by the scientists, engineers, and technicians at the Good Housekeeping Institute, this Miele canister vacuum has earned the Good Housekeeping Seal. 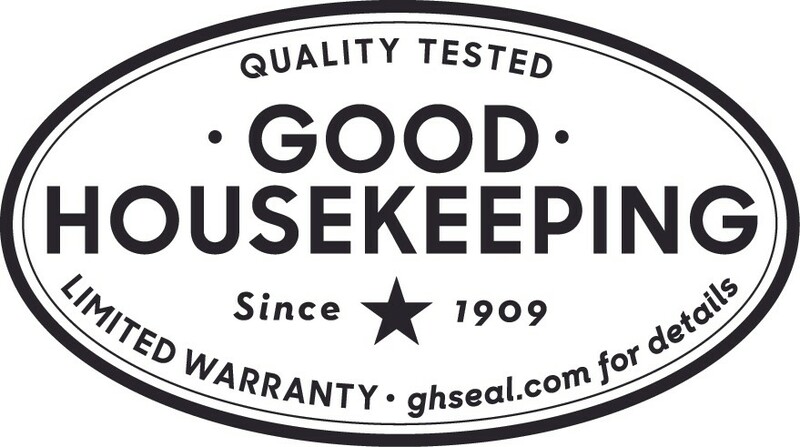 When you see that seal you'll know the product has a Good Housekeeping backed 2-year limited warranty covering repairs and replacements of defective parts in addition to the Miele product warranty. 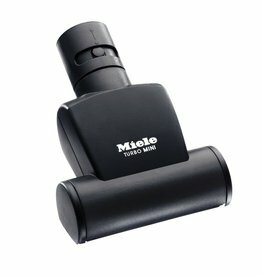 For use with S4000, S5000, S6000, S8000, C2, & C3 Series canister vacuums. Proven to retain 99.99+% of dust particles, this HEPA filter is ideal for allergy and asthma sufferers and only needs to be replaced approximately once a year. 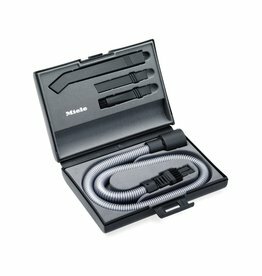 Includes:micro dusting brush; micro crevice nozzle; micro hose with combi nozzle; MicroSet extension; practical storage case.